My installation for the Danbury The in VIEW project is up for April! 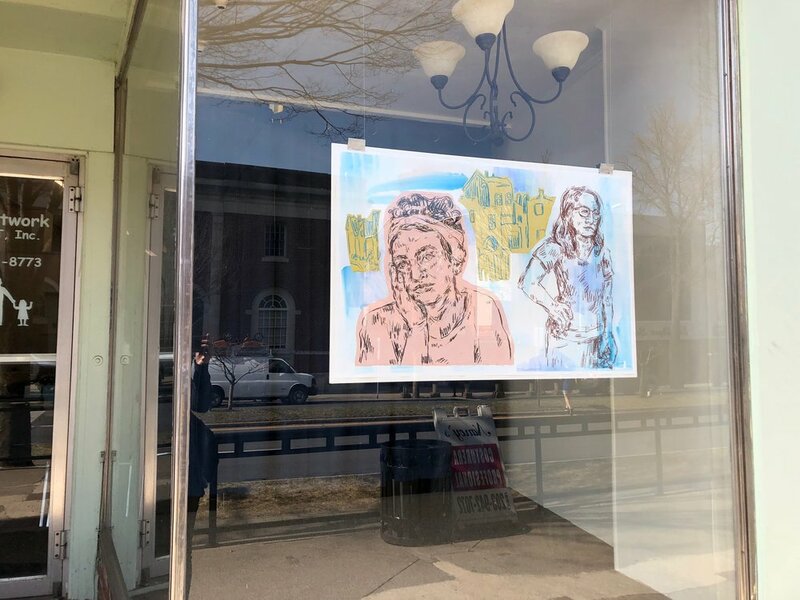 The In View Project is an initiative that brings art into vacant storefront windows on Main Street. I wanted to create an installation that addresses the isolation that sometimes happens in relationships, and possible solutions. My FOCUS missionary teammates (Charlie, Anjelo, and Olivia) posed for these drawings and generously helped me with installing. Danbury homies, keep your eyes peeled at the corner of Library Pl. and Main St. this month! this is a website for artwork & writing by Erin K. McAtee.